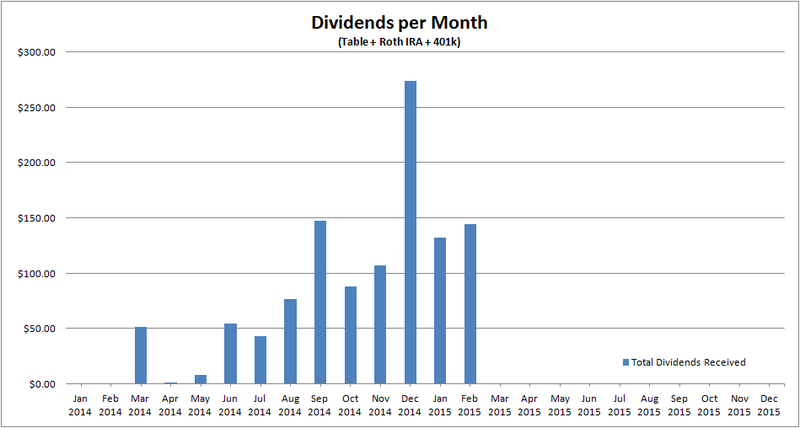 I am targeting purchases in April that will add dividend income in the coming May. I do not see obvious bargains at this point in time so I will focus on my dividend paying stocks in May. I have already recently topped off my allocation in MO and PM so this coming April will see a healthy increase in dividend payments. 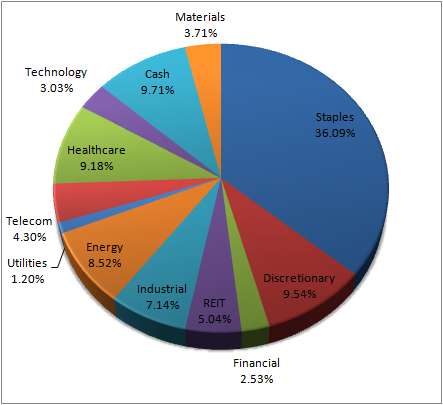 I have filtered the US Dividend Champions list to companies that will be paying in May and will have ex-dividend in the coming weeks. These companies all have decent dividend yields and have grown dividends for a long time. Below is a low of May paying dividend stocks. I do not go over my picks just yet but these are just listed with their yields for now as points of interest. Both have very high yields and strong cash flow and moats. Dividend growth on these guys is abysmal, but Verizon I feel will outpace AT&T in dividends growth. 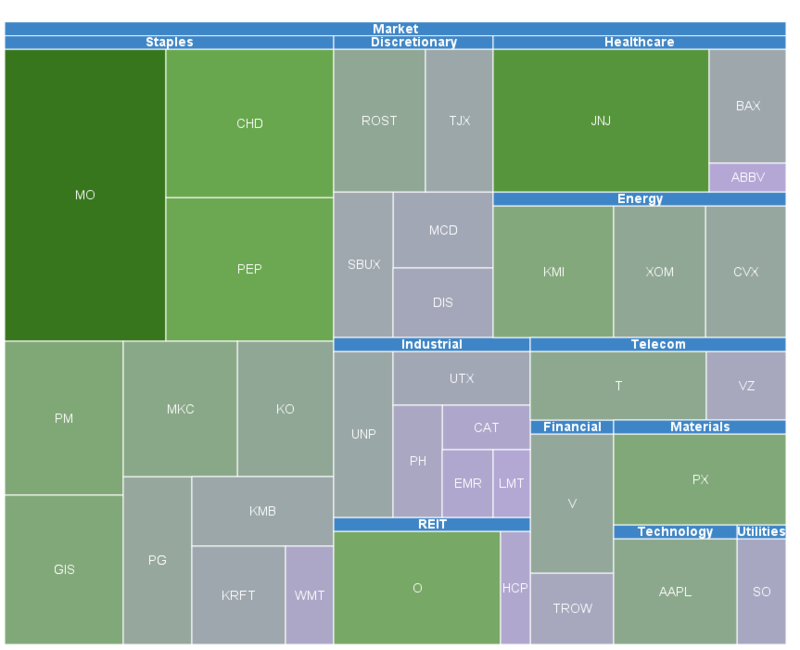 AT&T however sports a much higher yield. EPD and PAA are getting hit by the fall in oil prices. These two will probably be more fair value buys than KMI and MMP right now. Currency issues makes me want to avoid PG for now unless the PE drops and the yield goes over 3.5%. Again, currency issues and the fact that the oil sector is getting hurt. The yield is attractive and the PE is decent. I think HCP is at fair value right now despite the possibility of a future rate hike. HCP is a dividend champion with many years under its belt. The yield is attractive at this point in my opinion. Fastenal has had very impressive returns (dividends and share price growth) and has always had a very high PE. The PE right now is experiencing contraction and is lower than the historical PE. Who knows, perhaps FAST is experiencing PE contraction despite having successful earnings. I am worried about buying this stock because the PE is above my usual criteria despite the growth potential and decent yield. This will add $200 to my annual income. These stocks were purchased before their ex-dividend date and they pay in April so I will be able to collect an extra $50 immediately next month. TROW will also pay a special dividend next month. 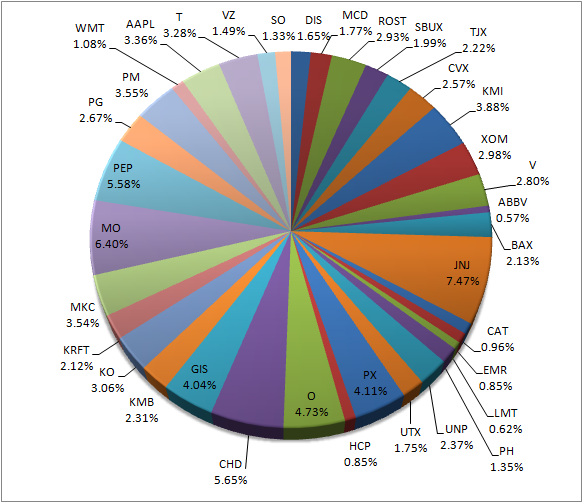 I realized I haven't been blogging the stocks and dividends received per month. Well, in an effort to keep track I'll start doing that now!